One of my subscribers is wondering if there are certain types of exercises that are better for some body types than others? For instance, if you’re pear shaped, which exercises are good for making you appear more symmetrical? 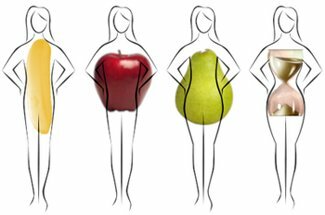 And if you have larger hips you’d like to make smaller, which exercises are best for burning off some of the fat on your hips so you don’t LOOK quite so ‘pear’ shaped? Furthermore, are there certain exercises that should be avoided that might make the problem worse by making your hips even larger? Is it even possible to chip away at specific body parts in order to burn fat and reduce their size? Here are a few pointers that will help her (and you) when choosing not only the right exercises but the right TYPE of exercise for your specific goals. If you’re trying to change the shape of your body just be sure to choose the right kinds of exercises that will help you get you closer to your goal, not farther away from it.